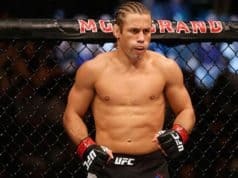 Urijah Faber drops teaser about what would bring him out of retirement to compete as a pro-MMA fighter once again under the UFC banner. Faber decided to hang up his gloves in December of 2016 in his hometown of Sacramento. As for the reason for his retirement, he stated that it was due to a waning passion for the actual fights as well as still having his health. Since then, he has stayed busy by remaining an integral part of Team Alpha Male as both coach and training partner. However, ever since he retired, he has made it known that if he wanted to fight and do it at a high level, he could still do it. It’s rare in MMA that legendary fighters stick to their first retirements. There are several examples of that. 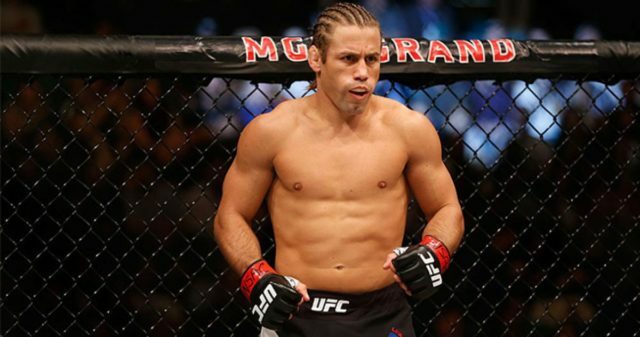 Thus, in a recent interview, Faber talked about potentially fighting once again. “I’m still contracted to the UFC, I’m still in the USADA pooling just in case something comes up,” Faber said. “I train more than some of the guys who are pros, to be honest. I’m in the gym all the time when I’m in town, especially. I wouldn’t put it past jumping back in. I know that I’ve watched throughout. I’ve been a student of careers – guys like Randy Couture and Tito Ortiz and (Dan) Henderson and these guys who have fought well into their 40s. 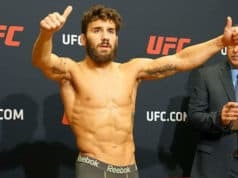 Faber is slated to take on Kazushi Sakuraba in a grappling contest when the two fighters captain two out of four teams in Quintet in Las Vegas, Nevada at The Orleans Arena on Oct. 5 that will air on UFC Fight Pass.